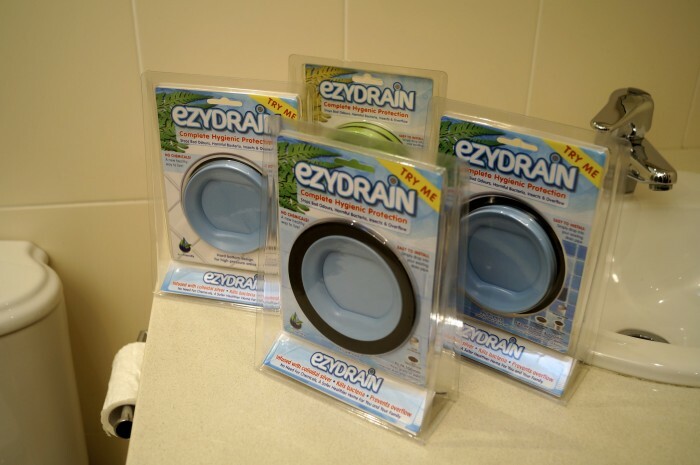 A chemical free retro-fit plumbing product that stops bad smells, bugs, drain flies, suds rising, yet kills air-bourne bacteria and disease. The product is also chemical resistant and can be used in conjunction with other products if desired. Fits easily under the floor waste grill and is designed to be installed in laundries, bathrooms, toilet areas, commercial kitchens and outdoors. It can be installed in less than a minute. I have Australian plumbing watermark certification, scientifically tested and home trialled, meets high manufacturing and ethical labour practices. With 10 patents granted in Australia, NZ, South Africa, Japan, China, Hong Kong, Vietnam, Singapore, Canada and USA and 1 design patent granted in Australia with 44 pending through Europe, Philippines and India due for examination soon. I am willing to sell or license the patents to interested buyers. The product is fully developed and ready for retail. I independently own my own tooling and debt free. The product is eco friendly requiring no chemicals and I practice ethical work place and enviromental policies with manufacture. The sale can include the patents ownership in whole or product licensing for desired countries separately. * Stops suds rising from floor wastes in laundry areas. This product suits an entrepreneurial person or company offering global protection and sales. The product is superior against its competitors for quality, testing, killing rate, performance, uniqueness and easy to install or remove in less than a minute, Simple and quick maintenance. Homes - There are currently over 8 million households in Australia and over 15,500 approvals for new homes every month. Building industry - The Building and Construction industry consists of over 73,000 companies in Australia alone, engaged in building the countries office blocks, shopping centres and industrial areas. 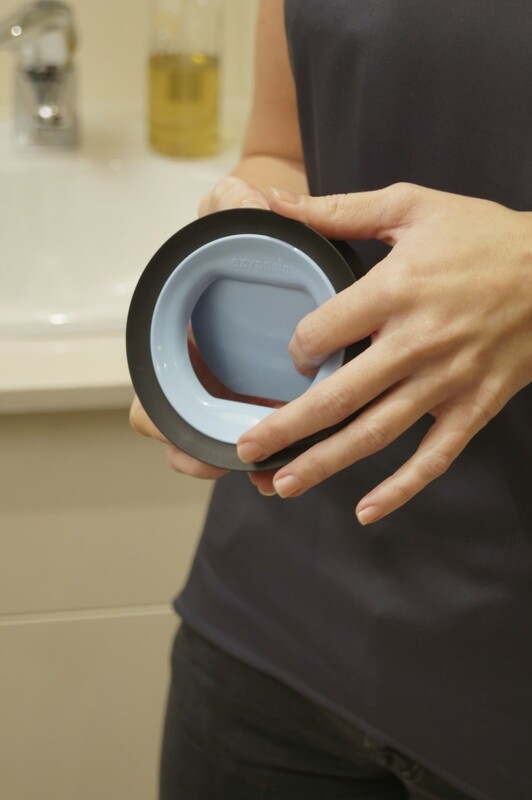 Health Care Facilities - Australia has currently over 13,000 public and private hospitals and clinics, with each facility having a varying number of floor waste outlets from hundreds to thousands per facility. Regulated flushing of floor waste pipes is compulsory and carried out monthly in most facilities to protect from bacteria and disease. Airports - Currently we have more than 20,000 airports worldwide servicing over 40,000 flights a day with millions of people, all or a few potentially carrying diseases such as SARS, MERS or Ebola often unknowingly connecting via channels from international to interstate and onward to into rural areas. 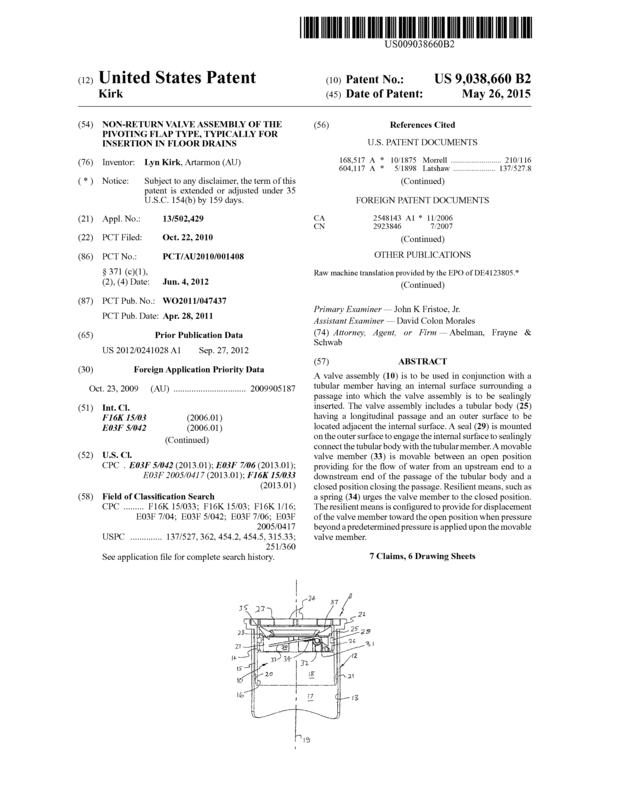 Page created at 2019-04-25 14:04:28, Patent Auction Time.